In order to provide you with an immersive and comprehensive gaming experience, more real-life venues have been added to the selection of FIFA 19 Stadiums. Featuring over 70 licensed stadiums from 13 different countries, you will need to check out which stadiums are now included in the FIFA 19 to enjoy new enhanced in-play features such as the UEFA Champions League. The improvements of gameplay have been complimented by the glittering array of licensed stadiums. Some of the most iconic settings in the world football have been included in the 102 different venues you can play in, such as Dortmund’s Signal Iduna Park, the home of famous ‘Yellow Wall’ and Milan’s legendary San Siro. The Premier League features every stadium for each of the 20 clubs including Tottenham’s new home. This means that you will be able to get a feel of the stadium before it opens its doors in real life. The 29 Generic Stadiums are available if you prefer the fantasy world and you will be well acquainted if you are familiar with the FIFA series. In the new Kick-Off mode, you can play in every stadium. The Kick-Off mode includes stat tracking, match types and more. This will make it more interesting and easier for you to take on your friends anywhere when you play FIFA 19. The Kick-Off mode has Home and Away match types where you can face off with your club’s biggest rivals. This is to enable both players to have the feeling and experience of playing in their club’s home stadium. Similar to previous versions you can select your club with one of the stadiums in career mode. The more well-known your club, the more likely their real stadium will be available. In addition, every home match is fitted with holistic audio and visual effects to give you a real sense of playing at home. In FIFA 19, every licensed stadium is available in Ultimate Team. For you to improve the atmosphere for every match, the stadium items can be found in FUT packs and assigned to your club of choice. Notes: Some systems may not have all the features of the New Kick-Off mode. The UEFA Champions League and all stadiums are available on Xbox One, PlayStation 4, Nintendo Switch and PC only. What are the FIFA 19 Stadiums? FIFA 19 has followed the trend with the worldwide fascination with LaLiga by bringing 15 new LaLiga stadiums to the game. For many FIFA 19 gamers, interest in LaLiga goes beyond Real Madrid and Barcelona, therefore this is certainly a welcome development for FIFA 19 enthusiasts. FIFA 19 maintains the licenses to all 20 premier league grounds. For this game, they have added the stadiums of the three promoted clubs: Wolverhampton Wonderers (Molineux Stadium), Cardiff City (Cardiff City Stadium) and Fulham (Craven Cottage). Not going far enough in terms of the quantity of football league stadiums, FIFA 19 brings 9 championship stadiums whilst Portsmouth’s Fratton Park is the only stadium at League One level. FIFA 19 maintains rights to PSG’s stadium and Marseille’s impressive velodrome. German football is represented by 6 stadiums, including Hamburg’s who were relegated from the Bundesliga last season. For more FIFA, check this out: What’s the Buzz About FIFA 19 News? FIFA 19 maintains the licenses for the stadiums of AC Milan, Inter Milan, Roma, and Juventus. The game also features various stadiums from the rest of the world, including the MLS and Saudi Professional League. If you are in career mode with a team without a licensed stadium, FIFA 19 continues to provide a variety of generic stadiums for you to choose from. The gradually increases in stadium licenses is certainly welcomed by those who love the FIFA games. Whilst for some lower league football fans, FIFA 19 may not go far enough in ensuring an improved lower league representation when it comes to stadiums, an increase to 10 stadiums in the football league is certainly welcomed in adding the greater sense of realism that all FIFA gamers crave for. You will certainly be impressed by the vast array of stadiums on offer. The addition of 15 new LaLiga stadiums will certainly encourage more users to manage a Spanish team in career mode. 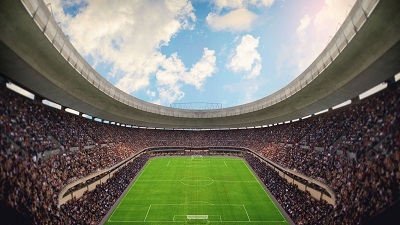 Whether you will be playing the game on a Nintendo Switch, Xbox One, PlayStation 4 or PC, the improvement in stadium graphics follows the trend of constant improvement which continues to add to the immersive in-play gaming experience with FIFA 19 Stadiums.